This kit allows you to upgrade from expensive disposable gas canisters to a refillable CO2 gas cylinder. 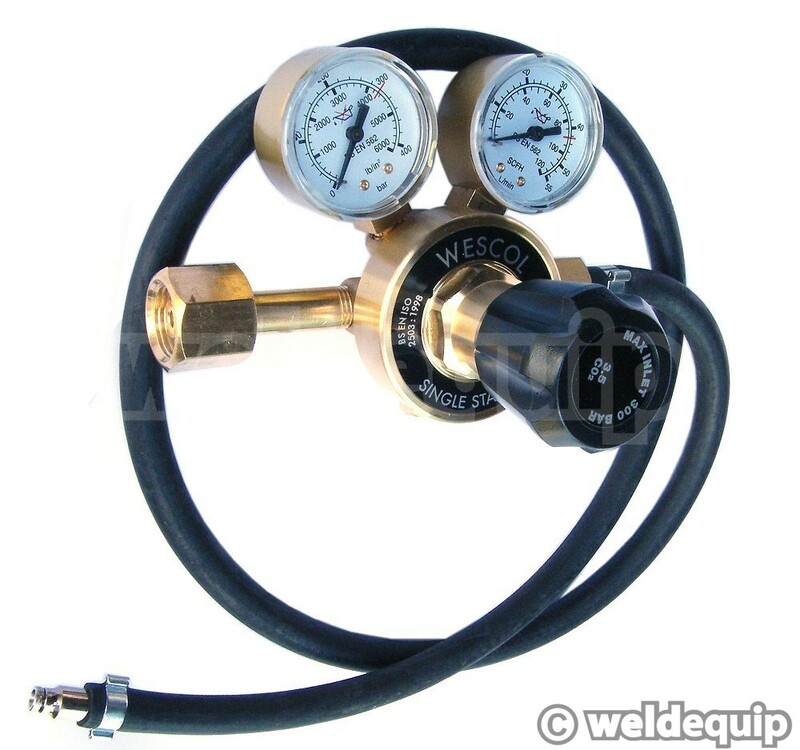 While you will not get the very best performance from your machine using CO2 gas, the cylinders are readily available and do provide an economical shielding gas solution. 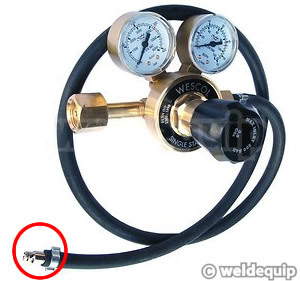 The regulator has a standard fitting for most types of CO2 gas cylinders with an external thread gas valve.